Introducing the new way to wear jewellery… Branch Jewellery have produced some stunning collections that give your jewellery box a well needed makeover! Founded in 2003 by Jewellery designer Wendy Pickard who had an eye for using nature and local woods as inspiration from a very young age. Making her first ever necklaces with the imagination of acorns and whatever else she could get her hands on! Branch Jewellery quickly grew a reputation for timeless style, bold designs and originality with their distinctive pieces. Having evolved over the years with a range of exceptionally unique and hand crafted items, we couldn’t wait for our delivery to arrive! All jewellery is produced in Indonesia with the use of traditional methods by local craftsmen. Materials such as Rosewood, precious metals, stones and crystals are all carefully selected for their highest qualities and welfare of the environment. They are very particular to use nothing but completely natural wood with bee’s wax as a conditioner – not a chemical or polish in sight. Due to the very nature of the wood grains, each individual piece has that ‘one of a kind’ feel to it – no two pieces are ever the same. We love this silver end triangle bangle, when it comes to accessories – more is definitely more! 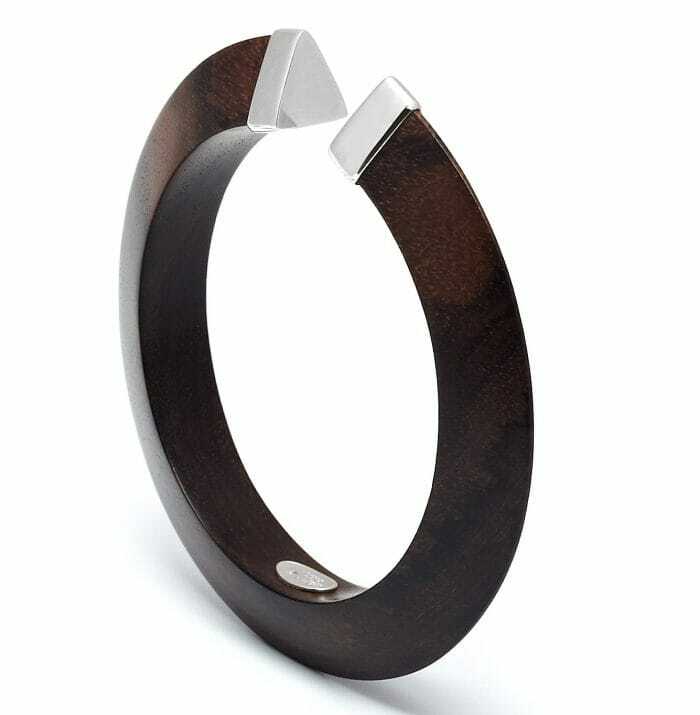 Hand crafted from sustainably sourced Indonesian Rosewood and an easy wear with it’s lightweight and comfortable fitting design, this bangle can be layered up or worn simply on it’s own as a statement piece. Add a delicate touch to any outfit with this Rosewood oval link necklace. With adjustable Black Grosgrain ribbon and sterling silver detailing this necklace hangs elegantly whilst being super versatile – no matter what you’re wearing you can get it just right! 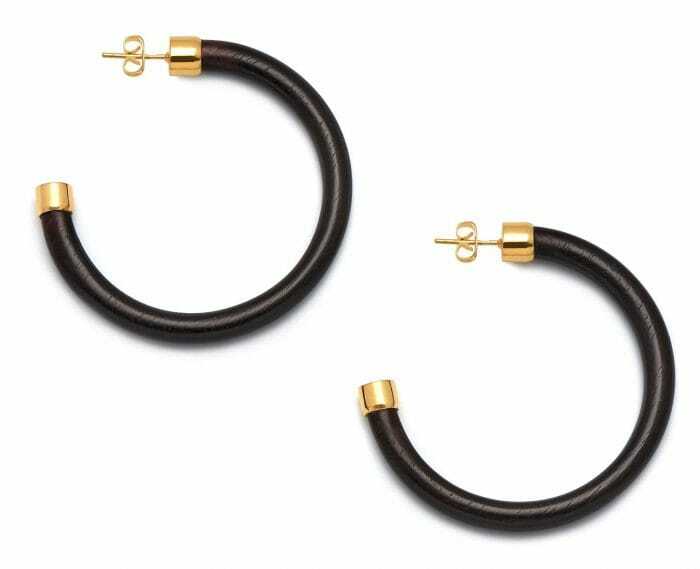 We are huge for hoops right now and we love these streamline black wood hoop earrings featuring gold butterfly fastenings. Offering a lightweight wear, we can’t wait to let our jewellery do the talking on this one. Style with a messy low bun and a bold lip to complete the look. All jewellery items come packaged in a black branded satin gift bag along with a ‘care for’ card and cleaning cloth – what more could we need! ?